The focus of Ron's ‘work’ activity is on enabling courageous and innovative Credit Executives to build resilient businesses that create jobs and enrich communities. The majority of working capital throughout most economies is provided in the form of Supplier Credit and businesses can only survive and grow to the extent that they have access to such credit. Businesses of various sizes provide employment; creating employees who are customers and thus a virtuous circle. Those who grant trade credit must however be careful to ensure that customer businesses will be in a position to repay, which means they must anticipate that those in charge of the debtor businesses are honest, capable in their business line and have a sustainable business model. Anticipating the future (the unknown) in this way and staking money on that ‘bet’ takes courage, as well as knowledge and experience. Ron endeavours to help Credit Executives to develop creative solutions and confidently underwrite transactions thereby nourishing and sustaining their own and their customers’ and suppliers’ businesses. Ron is the author of 'The Chameleon in the Room: Embrace Business Risk - Assure Survival & Growth' published by T3P LIMITED in paperback and Kindle e-Book versions in July 2015. Click here to 'look inside' the book and read pages from chapter three. With a broad range of international experience in bank corporate lending, trade finance and physical commodity corporate credit, Ron has successfully fused trade finance tools with traditional counterparty risk management practices to create solutions. This has been made possible by the expansive business knowledge base that he has accumulated, which is constantly updated by reading, research and attending courses. He has built a wide network of essential contacts through active membership of various professional associations, such as the International Energy Credit Association (IECA). He maintains this network by attending conferences and networking events, distributing articles directly by email from time to time and meeting with individuals or groups when possible. Ron authored ‘Global Credit Management an Executive Summary’ (published by John Wiley & Sons) which was well received by credit risk practitioners and CFOs in Total, LUKoil (LITASCO), Noble Group, and Louis Dreyfus for example. The book has been published in Chinese and proved popular amongst students and finance executives in the People’s Republic of China and Singapore. 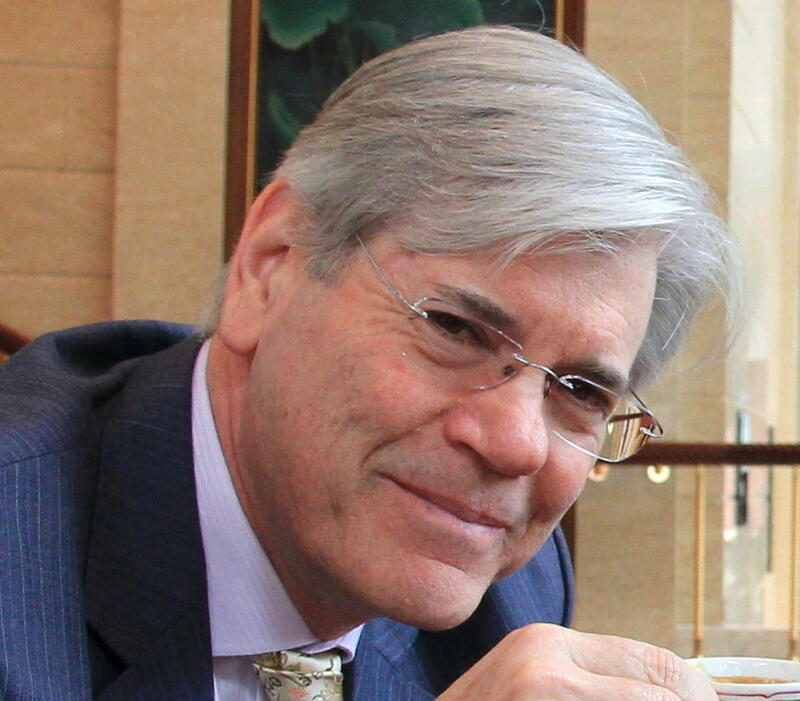 He has delivered numerous presentations in China, Singapore, Europe and the USA, and has written many published articles on risk management topics. His Blog can be found at gcmg.blogspot.co.uk and his Twitter address is @Wells10Ron. Ron is also author of ‘Credit Risk Management – The Novel, Part One’ published as an e-Book in April 2013 and in Paperback in August 2014, see details here. An ability to relate effectively to people of all levels has been achieved by undertaking countless counterparty visits in many countries, including the Former Soviet Union. Having worked in South Africa, the UK and Singapore, and travelled widely across the globe Ron has an excellent understanding of key business cultures. His most significant experience is in pro-actively supporting the physical trading of commodities; including Crude Oil, Refined Petroleum, Natural Gas, Liquefied Natural Gas (LNG), Liquid Petroleum Gas (LPG), Coal, Power, Green House Gas Emission Credits, Physical Freight, Plastics, Base and Precious Metals; and associated derivatives, including Forward Freight Agreements (FFAs). Chartered Global Management Accountant (CGMA). Certified Credit Executive (CCE), The NACM USA’s premier credit qualification. Graduate School of Credit and Financial Management (GSCFM), passed with distinction & elected Lead Student. Associate of the Chartered Institute of Bankers (ACIB), International Banking Diploma. Nedbank Executive Development Programme, University of Stellenbosch Business School (USB). Associate of the Chartered Institute of Management Accounts (ACMA). Fellow of the Institute of Chartered Secretaries and Administrators (FCIS). Authored articles for professional publications such as Credit Collections and Risk, Business Credit (NACM-USA), Global Trade Review, and LC Monitor. Subjects addressed and published to date include; Hedging Future Commodity Price Risk Can Damage Liquidity, The Art of Assessing, Quantifying and Managing Buyer or Supplier Future Physical Performance Risk and Does the Bank Payment Obligation (BPO) Mean the End for Letters of Credit? Author of ‘Global Credit Management - an Executive Summary’, published by John Wiley and Sons Ltd. This book was translated into Chinese (simplified characters). Author of ‘Credit Risk Management – The Novel, Part One’ published as an e-Book in April 2013 and in Paperback in August 2014, see details here. 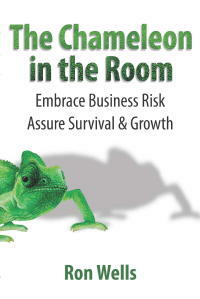 Author of 'The Chameleon in the Room: Embrace Business Risk - Assure Survival & Growth' published by T3P LIMITED in Paperback and as a Kindle e-Book version in July 2015. Click the icon below to order your copy of one or more of Ron's books; including Kindle eBook versions, which are also available from Amazon.com.